After breakfast at hotel, our tour guide will pick you up from your hotel for city tour. We will first visit Re-unification palace, the former head quarters of anti-communism in the south. After lunch, we will visit China Town which has a population of over 1 million Chinese people. The highlight of China Town is the Binh Tay market where you can see busy merchants from every corner of this part of the city. 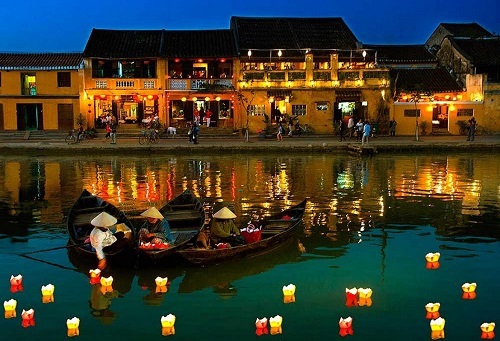 Visit Thien Hau Pagoda and a handicraft factory before heading back to your hotel. 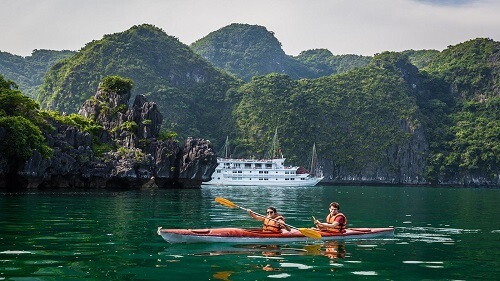 Pick you up at the hotel in Saigon then depart for Cu Chi Tunnels. 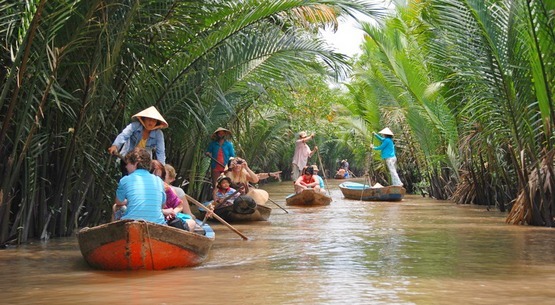 Located 60km from Ho Chi Minh City, Cu Chi is now considered a heroic district for its role during the American war in Vietnam. 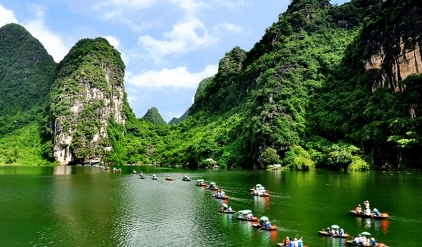 It is legendary for its network of tunnels, which extends over 220km, and is a popular destination for both Vietnamese and foreign visitors. Today, Cu Chi is a tranquil place of rice paddy fields with ducks and water buffalos bathing in the rivers alongside the road. But this peaceful rural scene belies the terrible destruction and defoliation caused by bombing and mines when Cu Chi was a "Free Target Zone". Cu Chi still contains plenty of evidence of the fierce battle that took place here and all over this area you will find the remnants of war. We have lunch at local restaurant. We will continue to leave Cu Chi for Mui Ne, the scenic 200km drive north on Highway One passes through the bustling city of Bien Hoa before cutting through dense rubber plantations. Arrive in Phan Thiet. 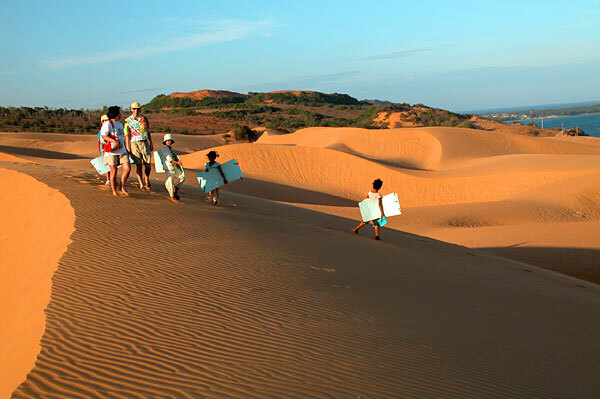 Overnight in Mui Ne - Phan Thiet. 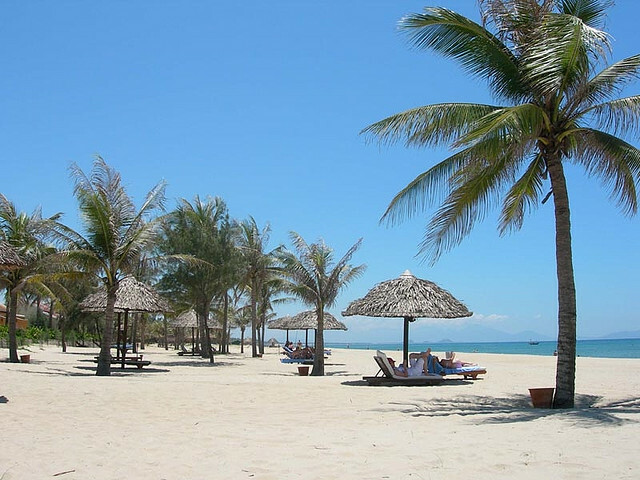 After having breakfast, explore the beautiful places such as Golden Sand Dunes, White Sand Dunes, Pink stream, Lotus Lake, enjoy sea bathing. After lunch, we will visit local market, enjoy the sunset at the Red Sand Dunes. Free at leisure time. 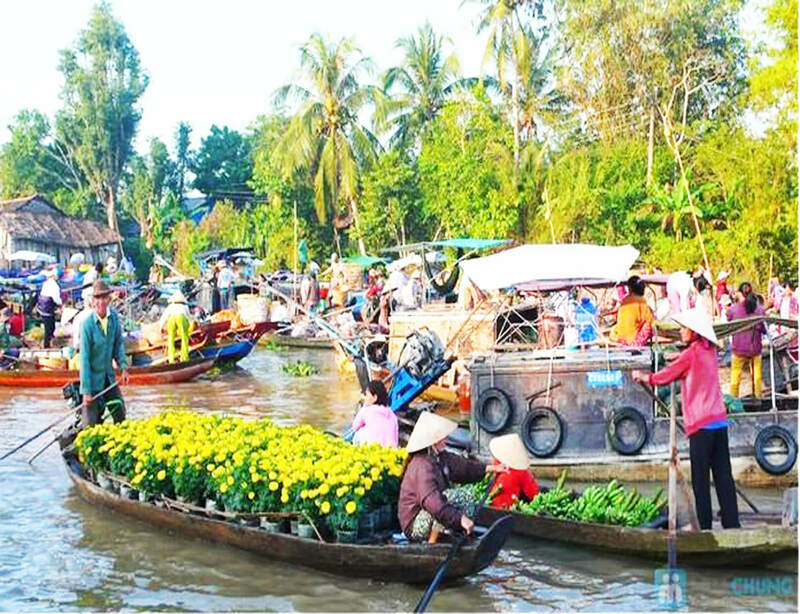 At night, you walk around Da Lat night, enjoy the delicious dishes at the infernal night market, taste the coffee shop in Mountain City and gracefully, scenic Xuan Huong Lake and overnight in Dalat. Breakfast at your hotel, a morning tour of Dalat includes Dalat Flower Park, Domain de Marie monastery; Mong Mo Hill & Dalat jam enterprise. Lunch at a local restaurant. In the afternoon, You’ll visit Emperor Bao Dai's Summer Palace that is indicative of Bao Dai's status as the puppet ruler of an occupied country, Xuan Huong Lake and Lam Ty Ni Pagoda. 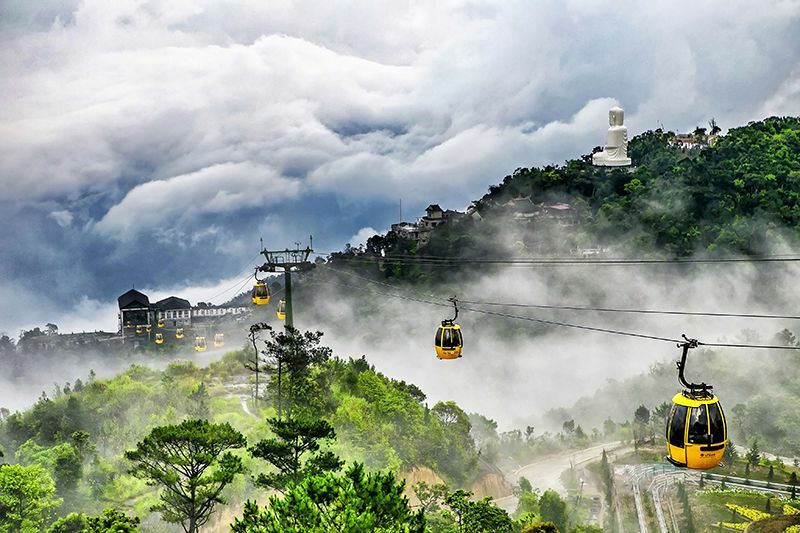 You'll call the Crazy House which invites curiosity, and deservingly so, and Da Lat market. Dinner and overnight in Dalat. Morning, Visit Truc Lam Zen Monastery - The largest Zen Monastery of Vietnam in Dalat city. Tuyen Lam Lake - The nicest Lake of Dalat. and then and enjoy Lat Ethnic band before we return Ho Chi Minh city. On the way back to Ho Chi Minh City, We will stop Gougar, Bao Loc town on your lunch, enjoy free tea and coffee) at the supermarket cafe-Tam Chau Tea. Drive back to Ho Chi Minh City for overnight. Our guide picks you up from Hotel and transfer to Tan San Nhat airport for departure flight. End of tour services. - Mineral water on car.